Mobile security is one of the serious issues for every mobile owner today. In the mobile driven world, people do lots many activities on their mobile phone from surfing the web, to making online payment. Even they keep their personal data on their cell phone memory chip. In this case, mobile security is vital. Without a proper security system for mobile based devices, relying much on phone can be dangerous. One can become the victim of data theft. Nowadays, there are many mobile anti-virus software and apps claiming total security of the mobile device. Are those software and apps really useful in securing your device? Is purchasing such security program by paying a huge sum or downloading a reputable free security program is worth? Are those programs going to keep mobile devices and personal information safe? These are really important questions need to be answered. In actual, there are many myths associated with mobile security. Most of the people believe that the security program that is installed on a home computer can also be installed on a cell phone or tablet PC and such software will protect their cell phone from viruses and other threats. Some users believe that security software made for one mobile operating system can be used on another device running on a different mobile operating system, which is untrue. Security app for a particular mobile OS is intended to protect the device running on that particular operating system only. So, people should remain conscious while selecting mobile security app for their device to ensure full protection of device and data stores on it. These days, making companies PC security application have started making mobile security software. It is to be clear that these two types of software are entirely different, and not interchangeable. However, some people mistakenly take them as one and try scanning the mobile devices using PC security software through USB and take that the device is now free from threats and junks. 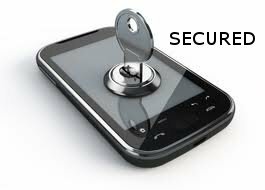 Mobile security software is designed with a specific mobile operating system in mind. A security program made specifically for one operating system cannot be used on another. Other big myth about mobile security is associated with infection. Still, a large section of mobile users do not believe that devices can get infected and the infection can spread to all application installed in the phone. In reality, malware can easily infect cell phones and other mobile devices. Even the phone can be infected through computer using a portable memory storage device than it is to use the same potable memory storage device to spread an infection from one mobile device to another. Viruses and malware can enter phone though PC and even via Bluetooth pairing. So, it is wise to select a security application smartly made for the particular operating system on which your smartphone is running. In this age, when your phone is the nerve of your life, it is vital to ensure security of your phone. S Huawei Ascend Y100 is an entry level Android device with surprisingly reasonable set of specifications such as 800MHz single core processor, 2.8" capacitive touchscreen, a decent 3.2MP camera, A-GPS, and Android Gingerbread OS. It is an inexpensive but cheerful pocketable device designed to meet the aspirations of young generation mobile users. This beauteous device resembles HTC Wildfire to a great extent. Unlike HTC which has a trackball, S Huawei Ascend Y100 is designed with a hard key, which functions as Home key. Apart from one hard key, it has three capacitive keys - Back, Search, and Setting. Camera is placed in the middle position on the back of the phone. On the left side, there is a music rocker. The brand name "HUAWEI" is imprinted on the front top and both the logo of Spice and Huawei is embossed on the lower back of the device. This cute handset is designed for one hand comfortable operation. It has an undersized 2.8 inch display, which is pleasingly capacitive rather and not resistive. Yes, the display size is undersized and you will sense it while Internet browsing and gaming on the phone. Frankly, the resolution is quite low, which again reminds me of the HTC Wildfire but I find images in S Huawei Ascend Y100 somewhat crisp and bright. Its 800 MHz single core processor isn't very powerful, but it is exuberant than some of the other decent Android phones in the same price bracket. Its Adreno 200 is bliss for game lovers as it provides good 3D graphics performance. Not to wonder, this lilliputian bombshell runs on Android v2.3 (Gingerbread) OS but at times gets defused because of insufficient 256MB RAM, which thwarts the device from smooth multitasking. The 3.2MP camera clicks far better images than my expectations. Images captured with this fixed focus camera in the outdoor are crisp and clear but the images clicked indoor are just okay with no WOW factor due to lack of flash light. Some of the interesting camera features are white balance modes, picture size/quality adjustment, and 2.8x digital zoom. Video quality is also okay. Users will never get low on space in this small compactly built phone! One can store as big as 32GB data right on the phone using microSD card. The best part in the memory segment is that all the downloaded apps can be stored on microSD card. A decent 1050 mAh battery fuels up this smart midget gadget providing 5 hours of talktime and 12 days of standby in both 2G and 3G. Unlike other Android devices which need about half a minute to shut down, this gizmo supports fast booting with only 5 seconds time. Also, the battery can be charged fully in just 2 hours. On the whole, S Huawei Ascend Y100 is a better than many other Android phone available in the market in the same price range. 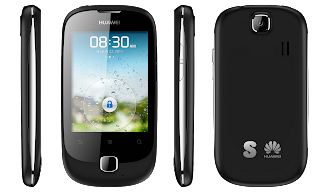 In collaboration with HUAWEI, Spice has really coined a decent 3G cellular phone in Indian market. If you are planning to buy a cheap Android phone, you need not compromise on the quality side. Go for S Huawei Ascend Y100! With the continual introduction of smartphones from different players, the smartphone war in the country is going through a cut-throat completion. To come over this, Samsung has introduced the concept of phablet with Galaxy Note and set a new proposition for its big screened product. 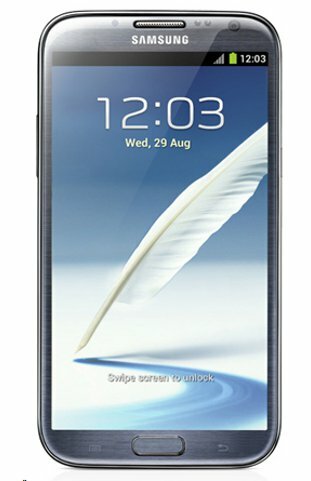 After the tremendous success of Galaxy Note, it has launched second-generation of its popular phablet, called as, Galaxy Note II N7100. Essentially, a phablet is smartphone-tablet hybrid bearing the combined features of a smartphone and a tablet. Galaxy Note II was reveled just after the global launch of Apple iPhone 5 and unveiling of Nokia's Windows 8 phone Lumia 920. Clearly, the Korean conglomerate has coined Samsung Galaxy Note II to entice customer toward Samsung products and silently sidetrack them from other players.